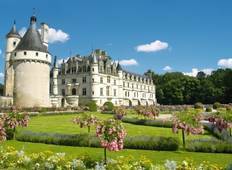 Loire Multisport - Bike, Hike, Canoe, Zip Line, More! "We are a family of three - mom, dad, 10-year-old son, and we had an AMAZING bicycling..."
"The map book have to many mistakes in then. And local logistics people should be..."
"Nice adventure. Maps are confusing though and the signage in the towns isn't great"
"Family of Three on self guided 6 day tour of Loire Valley: Great fun with mellow..."